A week of free seminars for all sailors in the Canary Islands begins on 12 September and is sponsored by the Canary Islands Tourism Promotion Board, the Lanzarote Tourist Board, the European Sports Destination, and Calero Marinas. Sailors from the Barbados 50 Rally currently staying in Marina Lanzarote, will attend the seminars, which are open to all sailors currently on the island. All seminars will be held at the Real Club Náutico de Arrecife at the heart of the island capital. Highlights include several seminars from Jimmy Cornell, best-selling author of cruising books and pioneer of the cruising rally concept. Jimmy Cornell has sailed over 200,000 miles in all oceans of the world and completed three circumnavigations. On Monday he begins the week with a talk on World Cruising Today, an overview of the current global cruising scene. He will also share his experiences of sailing to Antarctica and the Arctic, completing a successful Northwest Passage transit in 2015. His presentation on “Strategy and tactics for the Atlantic crossing… where to next? Post-Caribbean alternatives” will also be very popular. Doina Cornell, who works on the Odyssey events with her father Jimmy, will talk on climate change and the oceans, based on her recent experiences sailing to the Arctic and Tuvalu, places most threatened by climate change, as well as an introduction to some citizen science projects sailors can get involved with while sailing across the Atlantic. Doina will also give a talk on sailing as a family, reflecting on her experiences of spending seven years with her family a world voyage, and comparing it to what sailing family life is like today. Experienced cruiser Luc Callebaut will give a seminar entitled ‘How to support yourself financially while cruising’, sharing a wealth of experience having worked as a diver, tour guide, film maker, to name but a few of the inventive ways he and partner Jackie have supported themselves for the past twenty years while sailing some of the most desirable cruising grounds of the world. 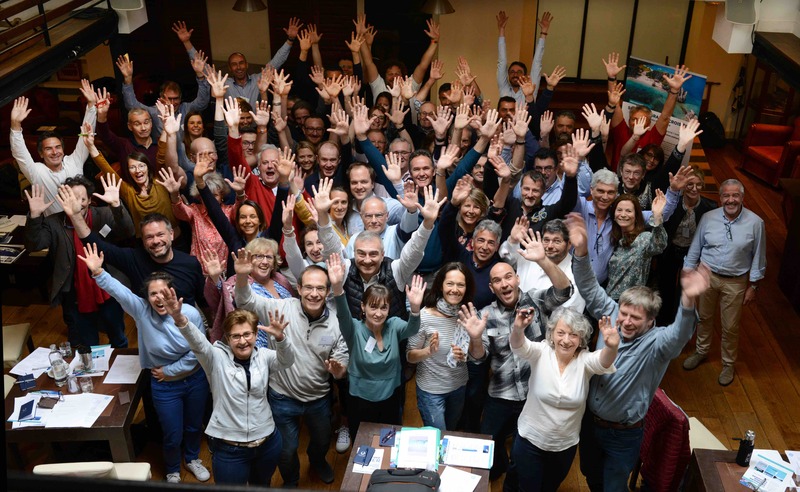 Dr Paolo Casoni’s talk on medical emergencies at sea and preparation is back by popular demand as a regular contributor to our Lanzarote seminars. 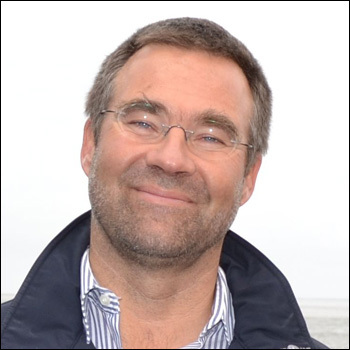 Sönke Röver, author and organiser of popular bluewater cruising seminars in Germany, will give presentations on a range of topics including communications, weather information and energy management on passage. Thomas Wibberenz from Parasailor will give his popular downwind sails presentation, followed by a hands on practical session onboard the boats of Parasailor owners. 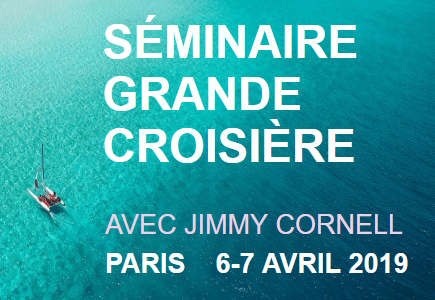 Reflecting the rich mix of nationalities in the marina, there will also be French and German language sessions led by native speakers Pascal Guiraudou, Luc Callebaut and Sönke Roever along with Jimmy Cornell. 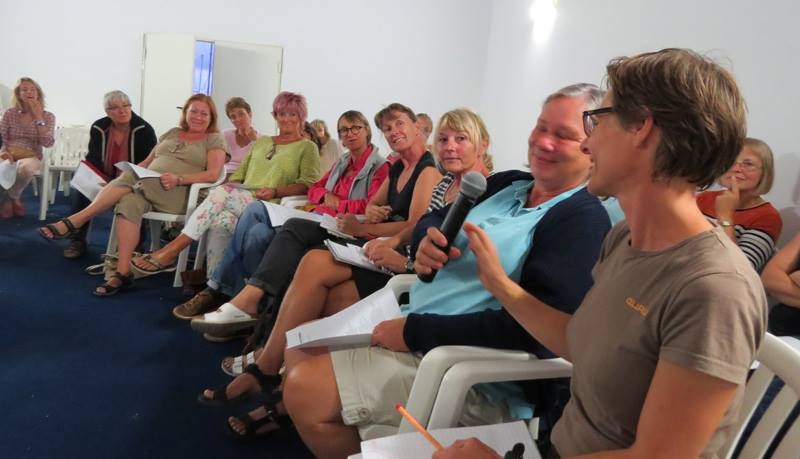 A regular feature of the Lanzarote seminars, is the Women’s forum, led this year by Jackie Lee, Pascale Guiraudou and Doina Cornell, in an informal session chaired by women experienced in long distance cruising, giving women a chance to share their concerns and experiences. For full details on all the talks and the schedule for each day, visit Lanzarote Long Distance Cruising Seminar Week. 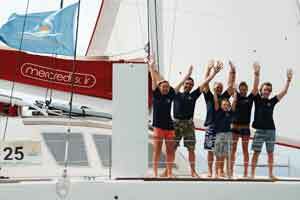 To book a place email: info@cornellsailing.com or contact the Barbados 50 office in Marina Lanzarote.